Something strange is going on in Sherburn in the 7th century. 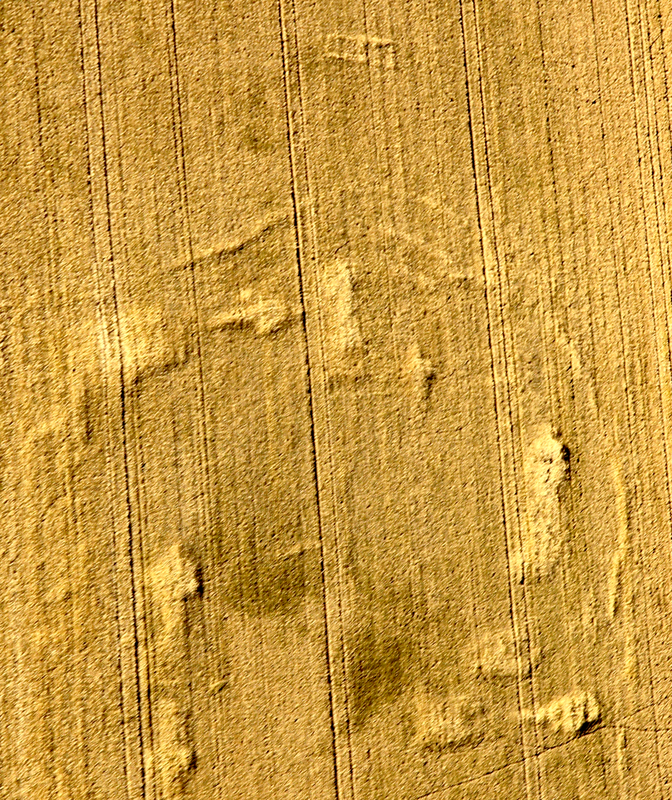 Antiquarian observations during the nineteenth century and a crop-mark of a curious enclosure to the east of Sherburn is the subject of research into the archaeology of the village. 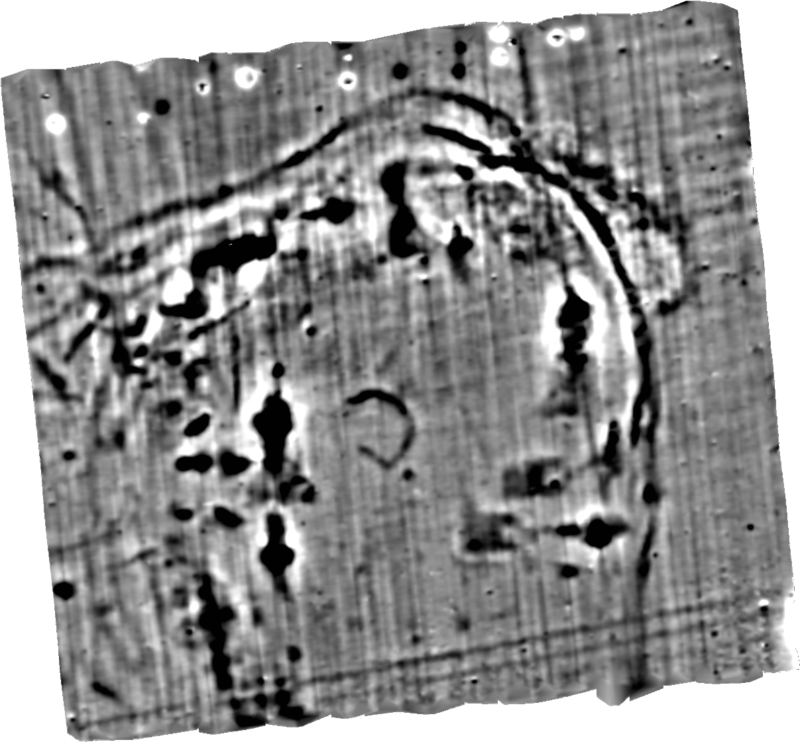 The enclosure shown in the geophysical survey below is unusual, with a series of large rectangular features and very high magnetic anomalies following the perimeter of the enclosure just inside the boundary ditch. A field-walking exercise undertaken with students from Manchester in 2008 revealed large quantities of burnt daub over the enclosure; did this material indicate burnt down structures and if so burnt by whom? The evidence pointed to the possibility that this might be an early monastery, perhaps burnt down by the Vikings; the latter suggestion appears now to be untrue, however, the results of the excavation are no less exciting. Ten days of excavation with a team of enthusiastic volunteers uncovered evidence of huge Anglo-Saxon cavity-floor buildings, larger than any others discovered in England, and an industrial scale grain drier being used in the middle of the seventh century AD. These discoveries indicate that Sherburn was the setting either for an early monastery or a very early manorial complex, where tithes were processed. In Domesday Sherburn was a royal vill with two churches; perhaps Sherburn was already the setting for a high status centre by the mid 7th century. The location of the second church is not known although the discovery of a cemetery not far from the enclosure under investigation suggests that a church might be found nearby. Rectified crop-mark image showing the enclosure and a rectangular building aligned east-west to the north. The evidence from Sherburn when examined against the evidence from the excavated Early to Middle Saxon settlement at West Heslerton, where analysis of the vast animal bone assemblage indicates that market age cattle were seriously underrepresented and may have left the settlement as a tithe or payment of taxation, indicates that as early as the middle of the 7th century significant central places were emerging as centres of power. Sherburn sits within a densely settled Anglo-Saxon landscape, where it seems to represent a high status or political and economic centre gathering in and processing the tithes from surrounding settlements. Click here to download the interim report on the excavations carried out in August 2011.